3 – Cups of chopped grilled organic eggplant. 2 – Cups of cooked organic brown rice. 4 – Cups of chopped organic spinach. Italian, Creole, Mexican, or Madras Curry Seasoning or something else. 6 – Oz of organic black olives chopped. 5 – Cloves of organic minced garlic. 3 – Tablespoons of organic olive oil. Water – Enough water to make a thick batter. 6 – Vegan burger patties – Garnish with any store bought vegan burger patty that you like. Mix all the ingredients together and add enough water to make a very thick batter that’s kind of firm… and salt and pepper to taste. Place in a nice casserole dish which has been sprayed with a little organic oil of your liking. Garnish the top with the 6 vegan burger patties. Next place the casserole in a 450 degree oven for 1 hour or until it becomes a beautiful brown color on top. Take a toothpick and check the middle of the casserole to see if it’s done, if the toothpick comes out clean it’s ready. Let it cool a bit, then cut into servings and it’s ready to eat. 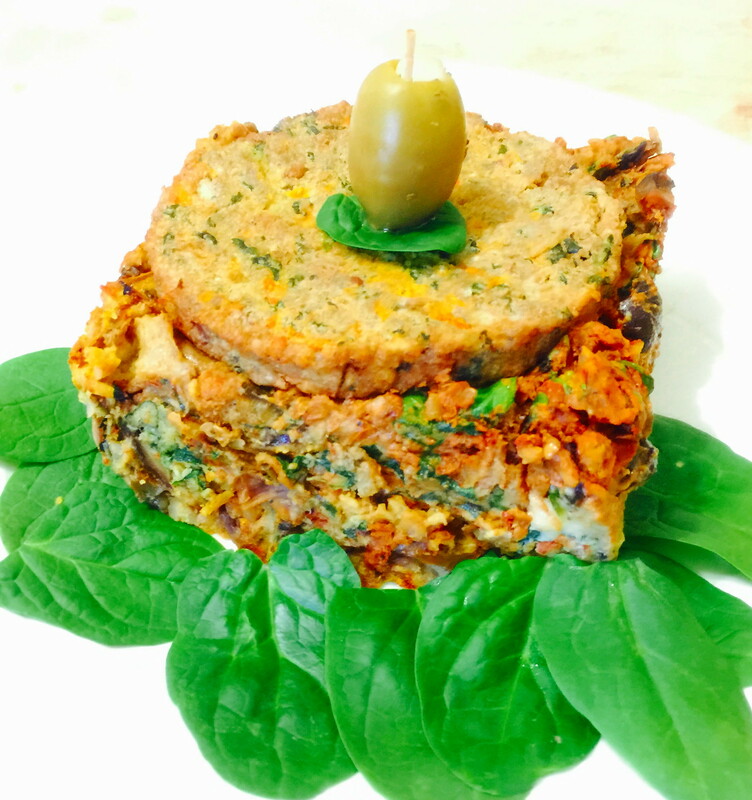 This entry was posted in Healing Herbs and tagged 1 Hour, biscuit and baking mix, Brown Rice, Casserole, casserole dish, Dr. Paul Haider, Eggplant, Filling, Garlic, Great Taste, grilled eggplant, Health and Wellness, HH, Madras Curry Seasoning, Master Herbalist, olive oil, Olives, Organic, Paul Haider, Photo, Recipe, Spinach, Spinach Casserole, USA, vegan. Bookmark the permalink.